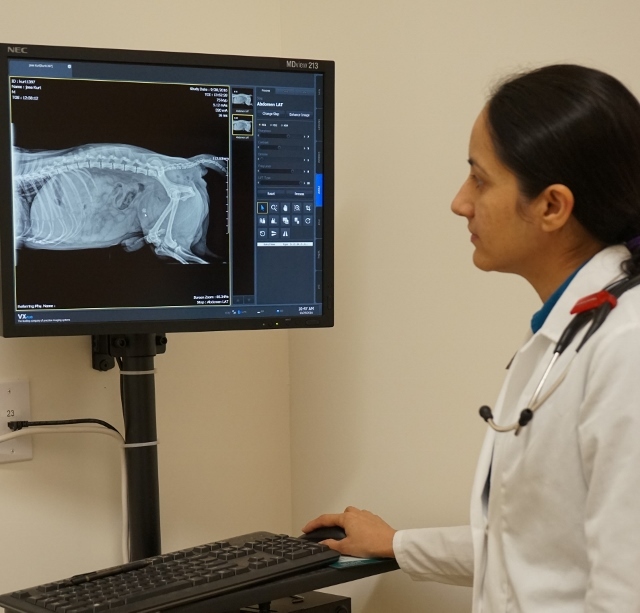 Radiographs, also commonly referred to as X-rays can be an extremely valuable diagnostic tool for a variety of medical conditions seen in pets. 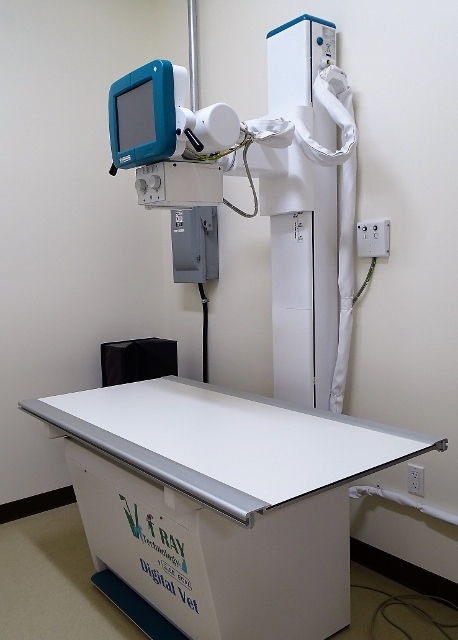 We have a Universal low dose – machine always ready as a non-invasive way to diagnose varied conditions like arthritis or fractures of the bones, intestinal obstructions, bladder and kidney stones and early tumor detection. It is even safe enough to use on young and pregnant animals! We are pleased to offer expert radiology services as a means of providing excellent care through correct diagnosis of our patients.